I’m not surprised when something that never occurred before — base shootings — now happens with frequency, because of Liberals. 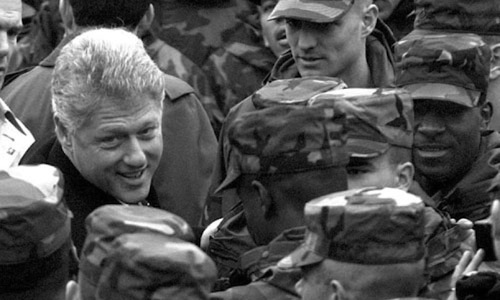 In one of Bill Clinton’s first acts upon taking office in 1993, he disarmed U.S. soldiers on military bases. 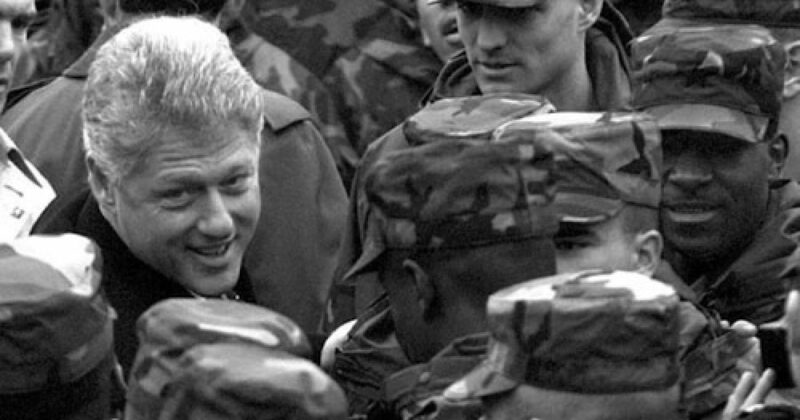 In March 1993, the Army forbade military personnel from carrying their personal firearms. In the regulations to make this happen, it became almost impossible for commanders to issue firearms to soldiers in the U.S. for personal protection. Can you imagine that you are part of America’s protection against enemies foreign and domestic, and you have less protection than the police. In fact, the military have less protection than a Chicago street thug. Yet the gun-grabbing Liberals who allowed this to happen are surrounded with armed protection. Essentially the only armed personnel on a military base are the military police. But don’t expect the Liberals to blame Clinton for the shooting. We all know by now, it’s the gun’s fault.